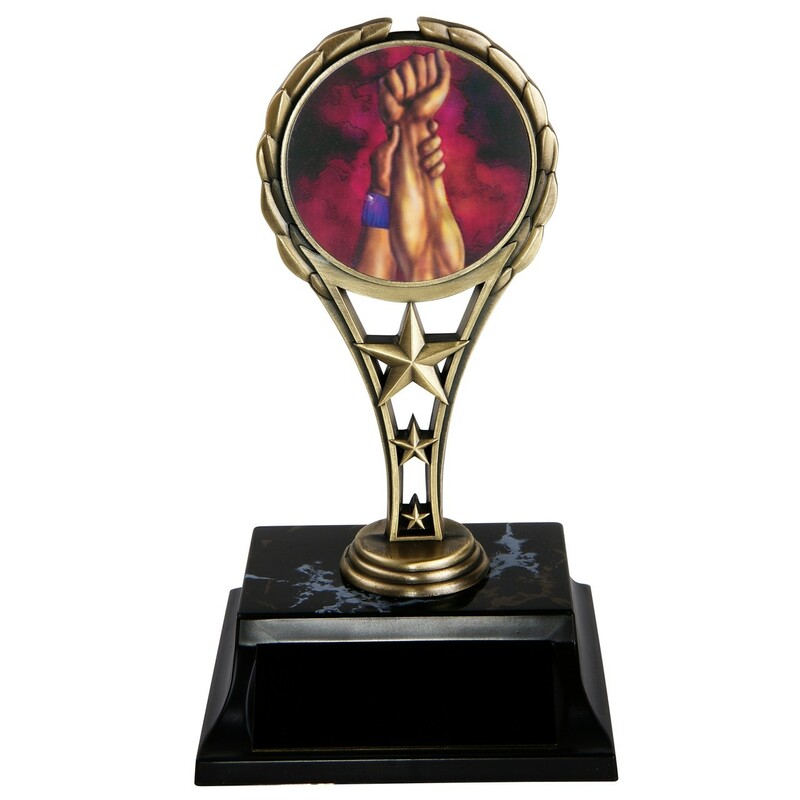 Give a Victorious Wrestler Star Trophy to your favorite wrestler for their hard work and dedication this season! 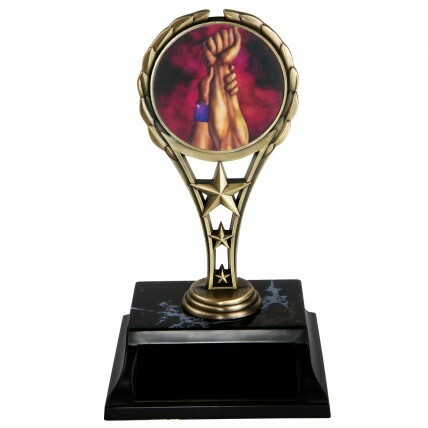 A full color holographic insert shows a wrestling victory on a rising star metal column. Measures 7 inches tall; includes 3 lines of engraving on the base.